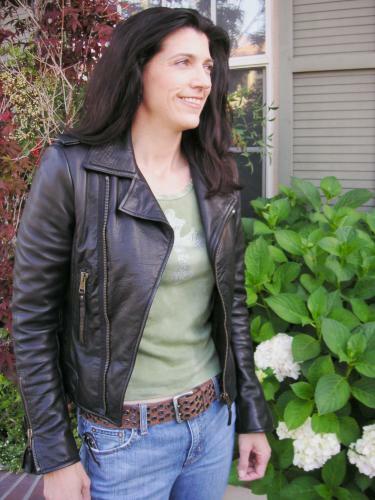 Keri started working with leather and tanning hides at the age of nine. Over the years, she has developed her skills working with authentic materials using traditional techniques to create museum quality historical reproductions of the Native American Indian and the Fur Trade era. For the Western Design Conference, utilizing her talent with traditional materials and techniques, Keri has created a contemporary line of fashion and accessories. Inspired by American history and authenticity, Keri’s designs are original, stylish, and equally appropriate for private collection or to wear for an important occasion or casual evening out. Keri is also exhibiting at Style West 2010 in Cody, Wyoming. Contemporary Western Design just added Keri to their Artists.